The purpose of this blog is to discuss the underpinnings, message, and impact of another egregious, self-serving illegal ruling from a radical activist Federal District Court judge, namely, the dishonorable Wm. Alsup, who not surprisingly, presides in the Northern District of California. Specifically, on 1/10/18 Alsup arrogantly and illegally imposed a temporary halt to Trump's well-founded, common sense plan to end the DACA program and thusly further America's best interest. His lengthy ruling was replete with effluvium, failed to address the salient legal points, elevated illegal immigrants to an exalted status of being above the law, and clearly reflected his personal anti-American agenda. To be succinct, in blatant violation of the U.S. Constitution and his sworn oath of office, Alsup willfully condoned the presence and prospective citizenship of millions of illegal aliens in America, and emboldened millions more to follow suit. To put this in perspective, please bear with me for a brief discussion of DACA and Dreamers relative to Alsup, other like-minded radical Federal judges, Congress and the MSM. DACA: As you are probably aware, DACA is an acronym for Deferred Action for Childhood Arrivals. It is different from illegals referred to as Dreamers, but its recipients are included in the term for sake of ease. DACA is one of countless unconstitutional Executive Orders signed by Obama in his zealous quest to transform America by illegally flooding her with the world's non-white tribal indigent aliens. Obama trashed the Constitution as a matter of course, and DACA is not an exception: it is illegal on its face. 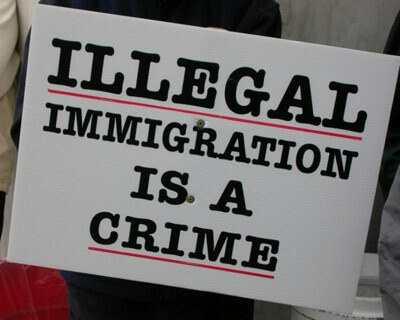 The initiative, established in June 2012, allowed certain illegal aliens to escape deportation and obtain work permits for a period of two years, renewable upon good behavior. Today there are reportedly 800,000 plus DACA recipients, but realistically the number is significantly higher. The average age of illegal DACA recipients is 25 years: they are not sympathetic children as portrayed by their congressional and MSM supporters, but rather, they are adult illegal aliens, period, and certainly not above the law. In addition to the DACA recipients, there are a minimum of 3.6 million illegal Dreamers in the US who either have not applied or been accepted for DACA exemption. Of note, under the U.S. birthright citizenship law, every child born to an illegal alien in America becomes an instant citizen and as such, is entitled to to the entire panoply of generous welfare benefits... gratis the U.S. taxpayer. Proponents of Blanket Amnesty: Granting amnesty to more than 800,000 DACA illegals, many of whom are indigent illiterates, is a hot divisive topic in toxic DC. It has been rapidly expanded to include all illegal Dreamers thereby creating a group in excess of 4.5 million. The MSM, every Democrat and many Republicans, led by Obama's chief advocate for illegal immigration, Paul Ryan, aggressively support amnestying all of these illegal aliens because 'that's who we are'. They conveniently repress the truth that is abundantly clear: such a grant would serve to elevate illegal Dreamers to an untenable position of being above the law. Not surprisingly, these arrogant, hypocritical, corrupt liars assume they are speaking for every American citizen... but they certainly are not! In fact they are echoing Obama and his deep rooted disdain for Whites and America as evinced in his writings, wherein he referred to them as 'colonialists'; his key cabinet appointments; racist actions, and habitually subordinating America to the world, particularly to his terrorist Muslim pals who are her sworn enemies. The anti-American Congressional and MSM proponents of blanket amnesty are indifferent towards and unconcerned with the law, and the unfathomable, adverse ramifications our country will experience by granting blanket amnesty to all illegal aliens. Alsup's illegal ruling served to further embolden them as well as the millions of illegal aliens in America by condoning DACA, which he knew was unconstitutional and ergo, illegal on its face. Radical Activists Federal Judges: Alsup is a disgrace to America and the Federal judiciary. He joins the following list of ignominious radical activist Federal District Court judges who illegally legislated personal agendas by blocking Trump's legal Executive Orders imposing much needed travel bans on certain Muslim countries. For the record, the Supreme Court subsequently reversed their absurd, self-serving rulings and I believe Alsup's egregious ruling will meet with the same fate. The common thread of illegality in the aforementioned rulings is that each judge intentionally propagated his radical, self-serving personal agenda by legislating from the bench in blatant violation of the oaths of office to which each was sworn. Specifically, their blatant actions exceeded the scope of clearly defined authority exclusively vested in the federal judiciary under the separation of powers as set forth in the U.S. Constitution, the law of our land. The inherent power vested in Federal judges clothes them with the ability to propagate any message of their choosing, and unfortunately, in many instances the legality of doing so is met with loathing and simply ignored. Tragically, Federal judges are virtually appointed for life and only Congress can amend the Constitution to change this outrageous situation... and they have purposefully failed to act in over 30 years. Judicial Abuse of Power: In my opinion, the only reason Alsup blocked Trump from ending DACA is that he, like Robart, Watson, and Chuang hates America. They strongly support and endeavor to facilitate Obama's transformational goal seeking the annihilation of her very fabric and significantly reducing the White race by illegally legislating from the bench and abusing their power. It is absolutely appalling and a mockery of justice that the Federal judiciary has the power to supplant the authority vested in the President by the U.S. Constitution with a radical ruling reflecting a personal agenda. Fortunately, this has been for a limited amount of time as their illegal, self-serving rulings were reversed by the Supreme Court, and Alsup's should be as well. However, as the old adage goes, 'justice delayed is justice denied', and America is the recipient of such denial because of illegal rulings by radical activist Federal judges that hate and want to destroy our country. Among other adverse consequences, this repugnant situation would eventually destroy America's long-standing traditions, culture, and values which would then be supplanted by an ideology deemed more appropriate by Obama and his anti-American acolytes. This unacceptable scenario would result in cultural and demographic genocide, significantly reduce the White race, and create a one party country... all of which are consistent with fulfilling Obama's goal. This is also consistent with the goal of Cultural Marxists, circa 1921, who sought to destroy America's traditions, culture and values through a cultural revolution then supplant them with Marxist ideology. It is not coincidental that Obama's plan to transform America was significantly influenced by his radical, anti-U.S. Marxist mentors, Saul Alinsky and Frank Marshall Davis. The Focus of Academia: As an aside, the focus of academia's curricula today is also consistent with Obama's goal as it stresses denigrating the White race with mandatory courses in White guilt. The professorial domain has been dominated for years by lettered and lower level instructors who share and propagate the same view and transformation of America as Obama, his acolytes, and the judges mentioned in this blog. For far too long they have spoon fed their anti-American Marxist ideology, masked as progressivism, to countless absorbent students who in turn adopted and diffused it exponentially through their respective environments.